Battlemind Gaming | Miniature wargaming pursuits and opinions. Miniature wargaming pursuits and opinions. Just starting into the Runewars Miniatures Game. I like its take on Terrinoth, which I have always been a fan of, and its models. The core box gives you quite a lot of good models for the Daqan Lords, which I have really enjoyed painting – just like the Waiqar models, their detail is raised and easy to pick out, or lean your brush against as you paint – which is good, because they have to be painted in an entirely more civilized way than the Waiqar. There’s a lot of detail on the Daqan Oathsworn Cavalry, and although time consuming, are quite fun to paint. Much like the Rune Golem below. Unfortunately, I painted the Rune Golem a fairly dark gray tone before realizing that the army’s accent colour is black. I would normally paint a higher contrast, but opted to keep it. It still looks good, and makes the Golem a lot heavier in appearance. The Daqan Spearmen are base coated, but not finished. I will post a picture of them when they are done. Their base coat primer was Army Painter Wolf Gray – a nice blue gray that’s not as intense as FFG’s proposed blue. I hope you like ’em. Send me a link or two to your online paint schemes please! Just starting into the Runewars Miniatures Game. I like its take on Terrinoth, which I have always been a fan of, and its models. 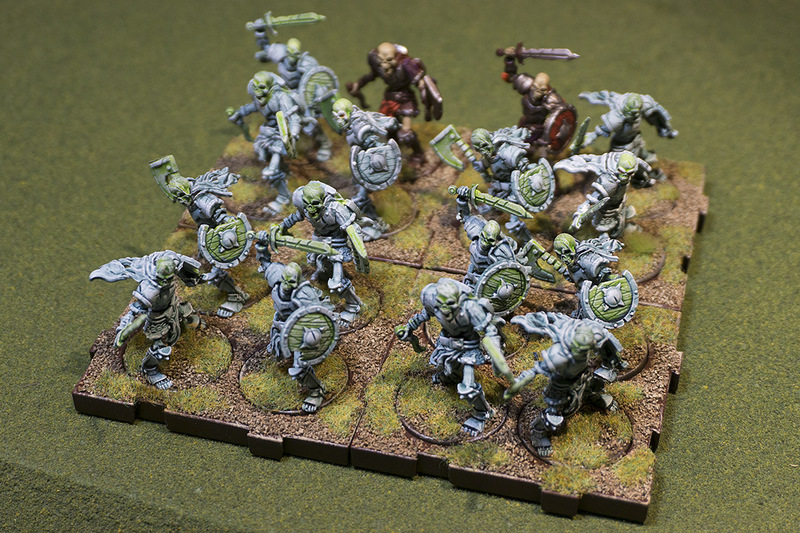 FFG has taken units like the Waiqar Reanimate soldiers below, and made them so easy to paint – with their raised surfaces and open poses – not to mention excellent sculpts. There are 4 poses for each unit, which you could modify even more if you like, since they’re an easy to cut plastic. 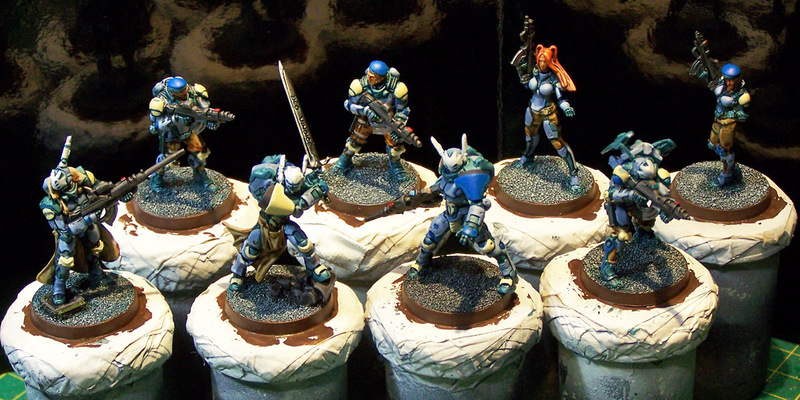 This unit started out as a more traditionally painted one – as you can see by the two test figures in the back row. But in the end I opted to make them look a little more creepy by painted them up as phantoms. This is of course, a faster way to paint an army. After spray bombing them white, I painted their skulls, weapons and most shields in a pale green, before washing them down with GW Coelia Green ink. Dry brush them afterwards with white, and they’re done. Although it’s a very fast colour scheme, I think it looks great. 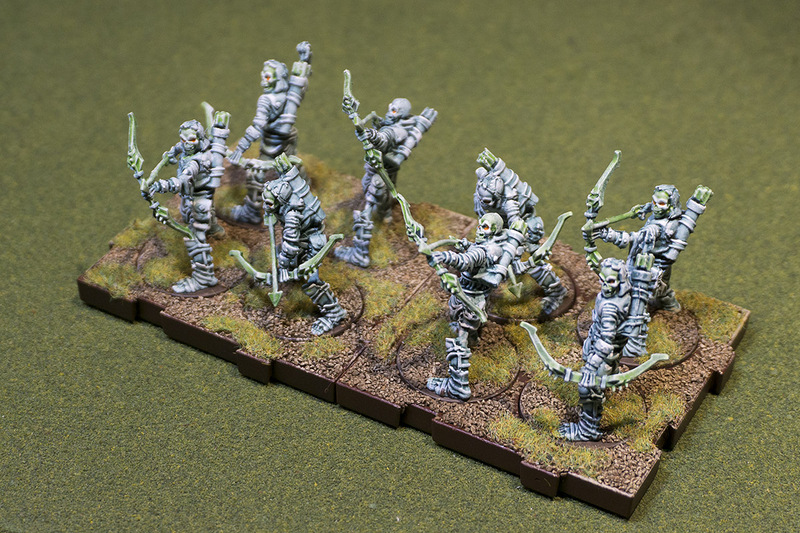 Below is my core box unit of Reanimate Archers, done in the same fashion. Below is my Commander, Ardus Ix’Erebus, and a Carrion Lancer. I did not think these two units should be phantoms like the rank and file – they have very corporeal armour and mounts. I painted them up theorizing that Arbus is trapped in his plate mail, and the Carrion Lancer is doomed to ride his carrion worm for eternity. For all you Firestorm Taskforce fans out there – I’ve just completed my Battlemind 1.0 version of a Quick Reference Sheet for Firestorm Taskforce, by Spartan Games. I thought I’d condense the main rules of the game into 2 pages. This is the first page – and by far the most important. I’ll make a second page of miscellaneous rules soon, but for now this is what you need to fight. Now get out there and play some games of Firestorm Taskforce!! 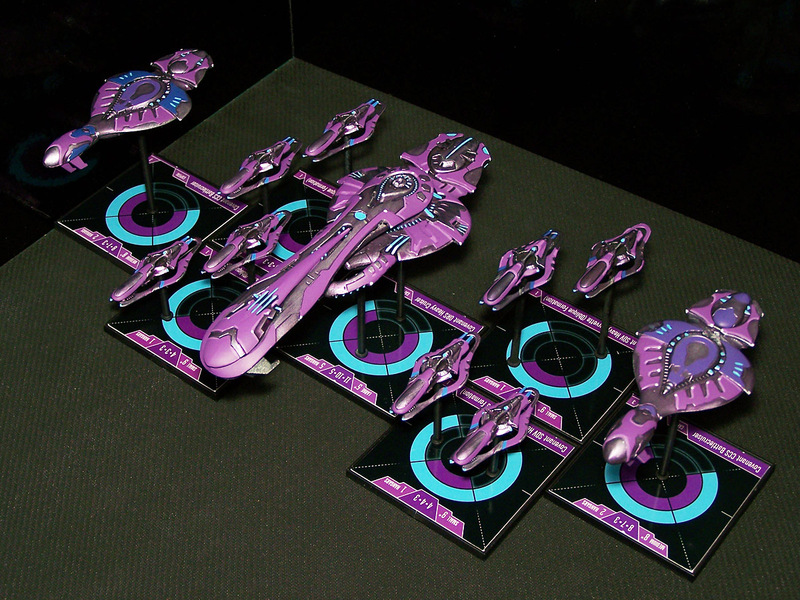 When I started painting the Covenant fleet from Halo Fleet Battles, I experimented with 6 different painting styles, and major colour variations. In the end I went with a straight up purple paint (from Vallejo) applied overtop of silver washed with GW Druchii Violet. You can see how the violet ink wash over silver gives the model a kind of glowing silver appearance. It looks kind of weird at this stage, but I know that more than half the model will be covered in purple, so the silver that’s left will keep some of that glow. The Covenant Heavy Corvettes in the background are already done in this photo, so I know I’m happy with this technique. 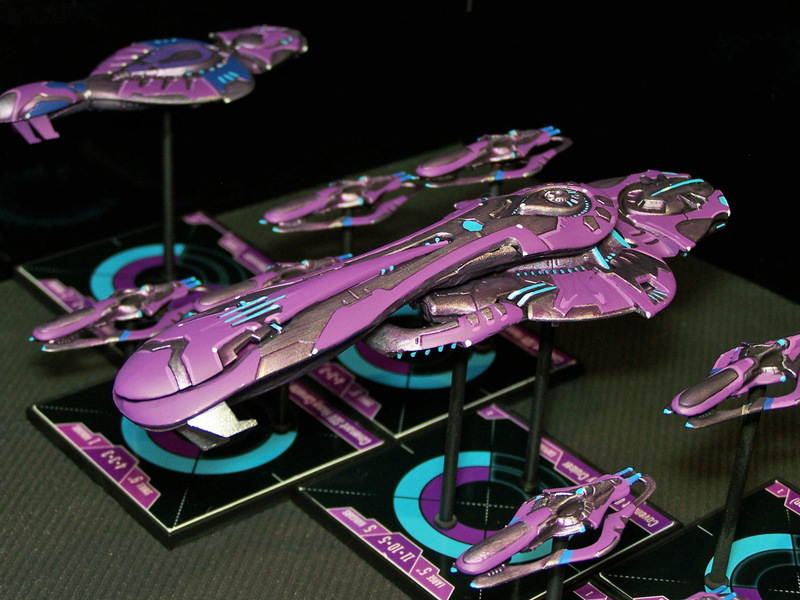 Here’s a fleet photo of the Covenant from Halo Fleet Battles. Overall it’s a cohesive looking fleet, but deviates from the mono colour schemes of straight purple. By breaking up each model’s surface detail, you get a cool looking ship that still maintains the purple feel of the Covenant. Small accents of blue and violet, as well as many many ship lights, highlight each model. 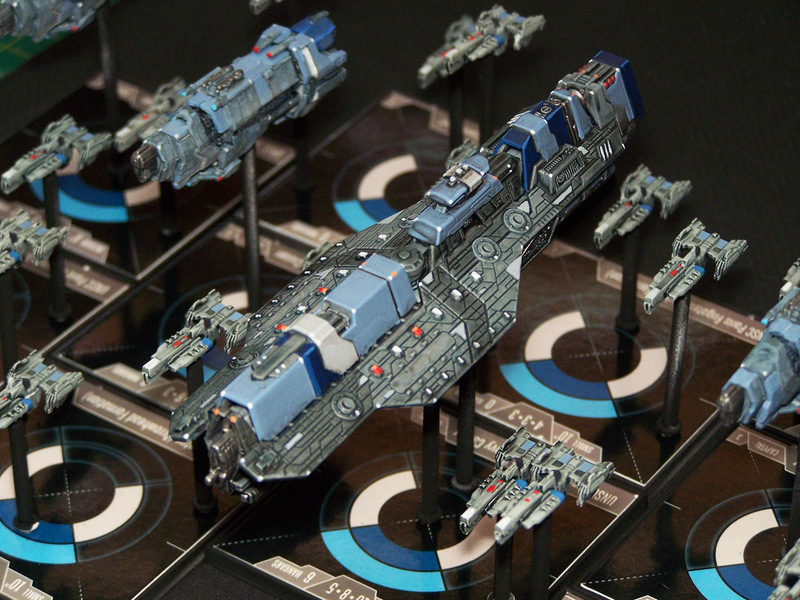 A close up of the Covenant ORS Heavy Cruiser – just enough detail so it looks really good on the tabletop. You could paint details on this thing for days, but I’d rather get on to my next miniatures in queue, or start playing Halo Fleet Battles asap. 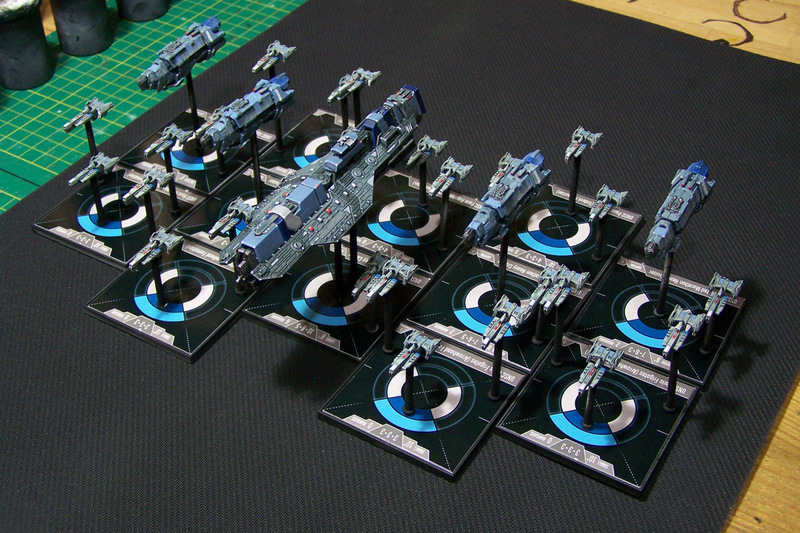 I have to say that I’m very impressed with Spartan Games’ Halo Fleet Battles miniature game. I caved into buying it because I love Spartan minis – and especially these Halo models – and had seen some good mechanics demonstrated on the Fleet Signal YouTube channel. (Thanks Alex!) Up front, I’ll let you know that I’m an avid miniature gamer and modeller. What follows is what I discovered to be the best way to approach painting all my UNSC space ships. I hope you get something useful out of it, however brief it may be. 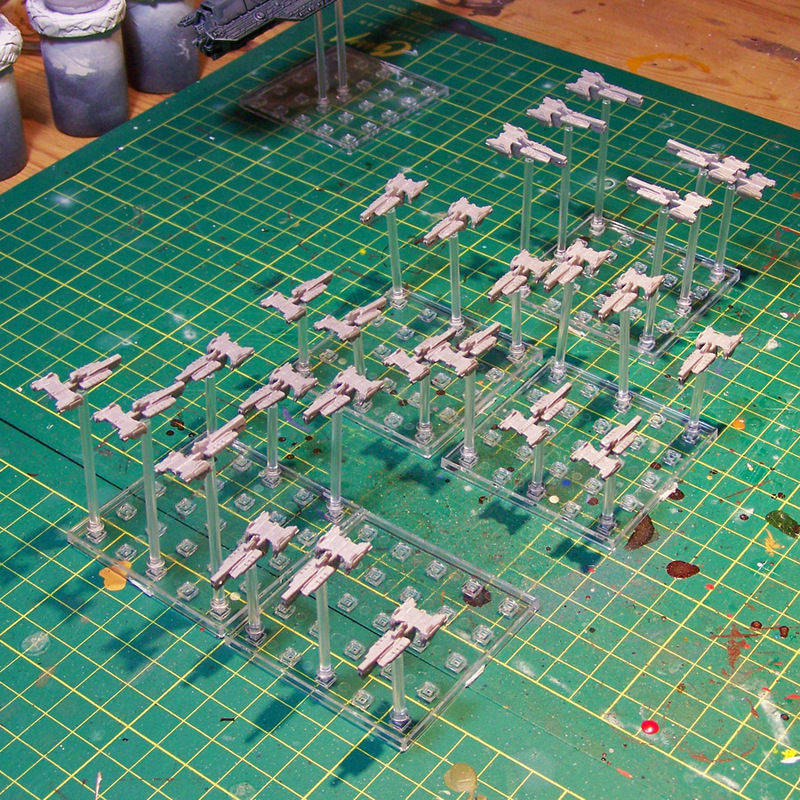 I found that cutting out all the smallest, Paris class ships, and friction fitting them onto the flight pegs – then friction fitting the pegs into the element bases was a good way to set them up for mass spray painting. Here they are spray painted white (GW primer white). I don’t care that I got overspray onto the pegs and element bases, because I fully intend these to end up black when I’m done. Easy! The base coat colour of the Paris frigates is an ink wash – not paint. 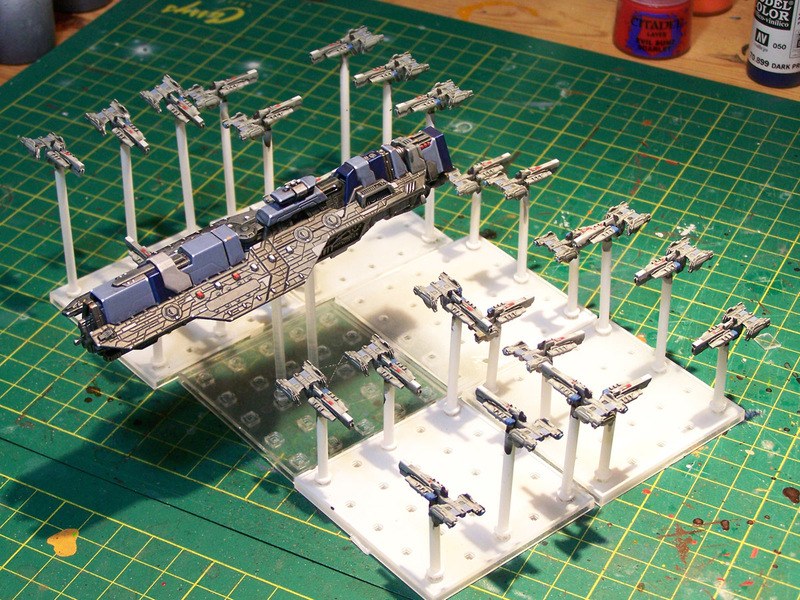 Because I want my fleet to be in the gray/blue/gray range, I know if I ink a dark blue black over the white primer, I’ll not only pull out all the models’ details, I’ll end up with a lighter blue-gray ship. 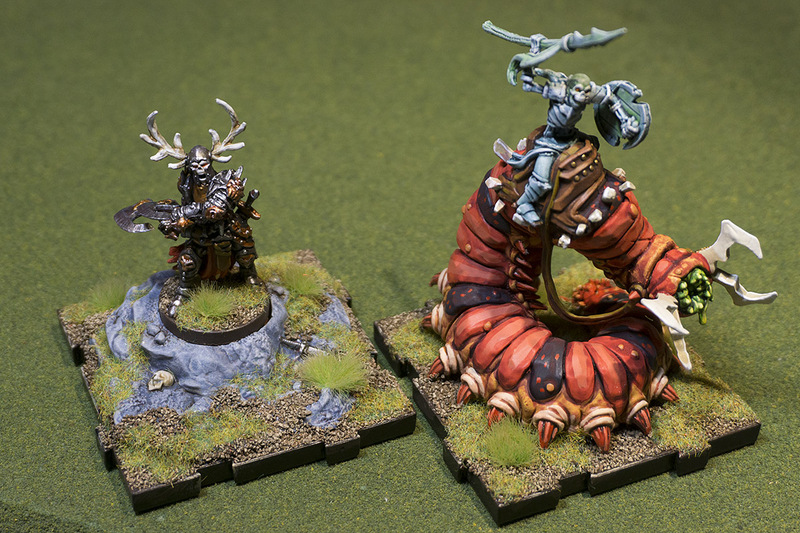 This is good because as a miniature gets smaller, I think its colour should get lighter so you can see it. 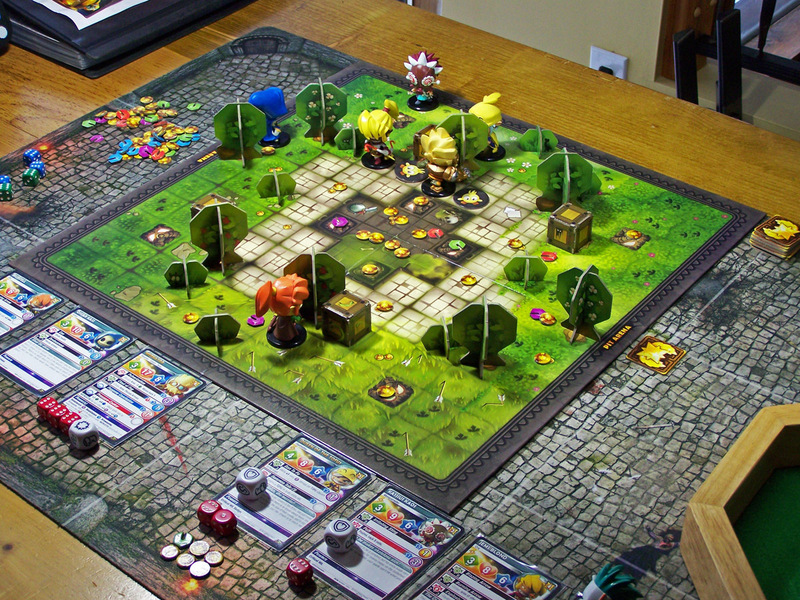 Remember, the game will be played on a proper star mat – black. Dark models will get lost on the background, so I paint for gaming effect, not Halo correctness. 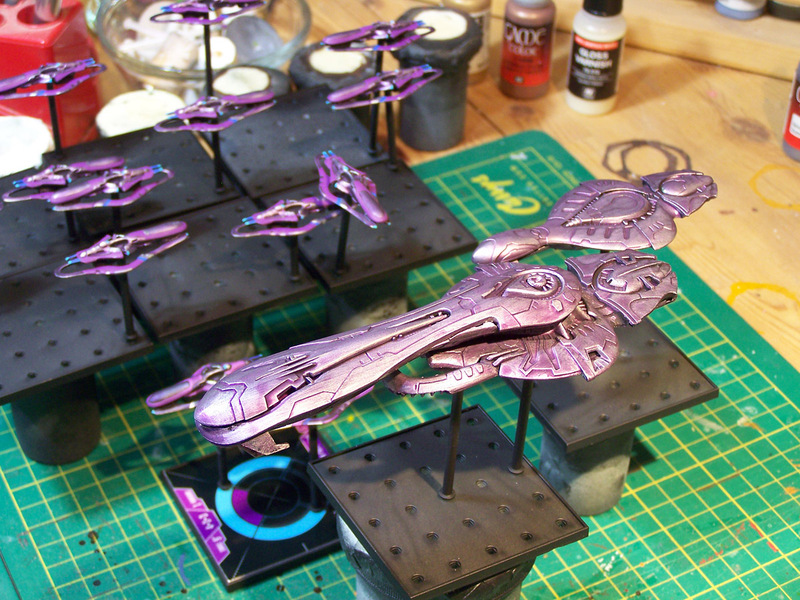 It’s interesting to note that not one ship popped off its peg while I primed or painted these. And not one peg fell over either. These pieces fit superbly. Tight – but superbly. The last thing I’ll show you is how I painted the flight pegs. I really don’t like the shiny plastic look of the pegs or element bases. I can see why Spartan chose this, but I find the gloss to be counter to the grit of wargaming models, let alone the black star mat they will end up on. So I found a small cardboard box, and poked holes in it with one of my circular files. You can see how small they are in the picture. (A pen tip would have the same effect.) 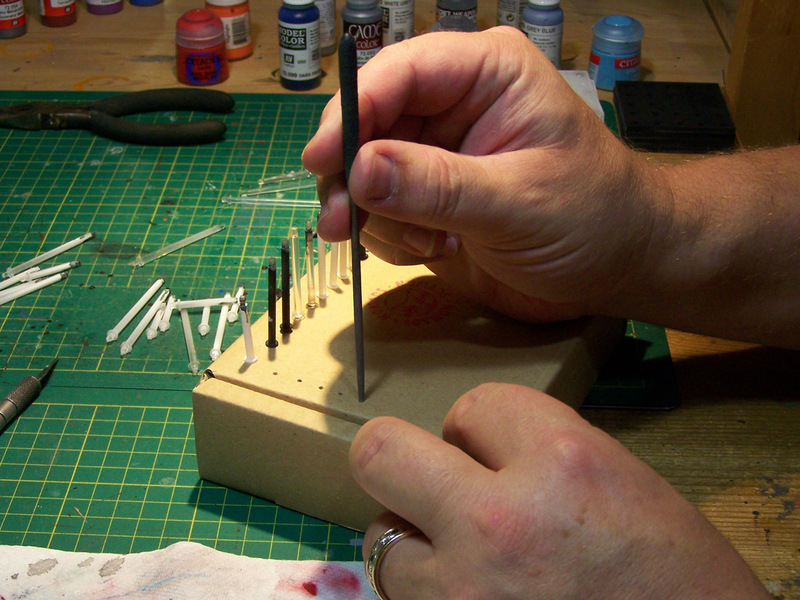 Then I pushed the bottom of the pegs into the holes, and they literally SNAPPED into place – immovable. I lined them up around the outside of the box, then took them outside and spray primed them black. Easy. 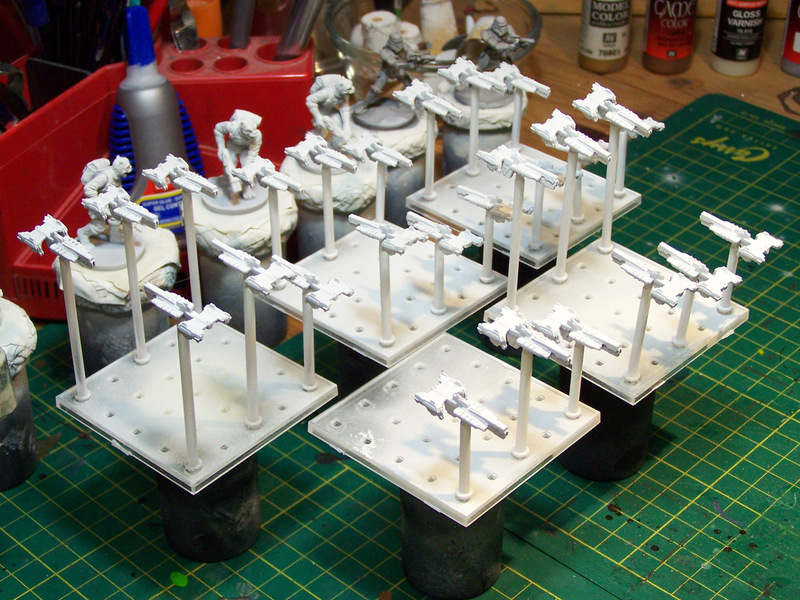 Then I primed all the element bases black as well – aiming to only paint the outside edges. The tops are covered by the formation templates, so you don’t need to paint them. Also, you don’t want to mess with the tight fit of their holes by adding paint. I love these models, and I really like the overall look of the fleet. 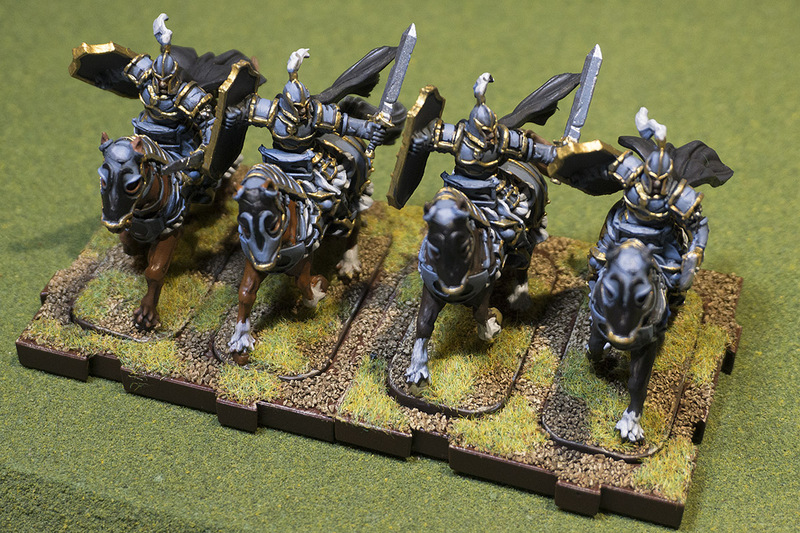 I think the pegs and bases are better in black – don’t you? All ships were base primed in white, base coated in Vallejo Grey(s) (except the Paris class frigates), washed in blue black ink by either Secret Weapon or GW, and then painted here and there for detail. A close up of the UNSC Epoch Heavy Carrier. It seemed a shame to paint it with just Halo greys. The blue-greys aren’t such a deviation, and they allow the model to POP on the table.Then, when you think you’re almost done – paint on some lights. Lots and lots of lights. You know every space ship has them – do it! Krosmaster Arena! Love it – love the look, love the balance, love the easy way it can be picked up or taught. All that with a collectible game that you can pursue as much or as little as you want. Picking up more characters for Krosmaster Arena can be as lazy as once a month or never – and I can’t stress this enough to newer players thinking about getting into the game. Expansions aren’t necessary, but like most good games, they will enhance Krosmaster as your experience grows. Some people may recognize Krosmaster Arena as a competitive, tournament based game. And it is perfect for that. But don’t get into it thinking you have to only play in tournaments or you’re a putz. There are very few Krosmaster tourneys around the world. Play for the strategic, pre-painted fun of it all. I know I will be playing this more in 2015. Infinity 3rd Edition! Often called N3, Infinity is a game that has really grown on me, even though I’ve played less than a dozen games. I’ve painted more models for other people than I have for myself! But what’s not to like? Anime based miniature skirmish combat, whose basic rules are actually pretty easily learned – with more complexity only coming when you add troopers that have it. This game is fast, looks fantastic, and is based in a sci-fi universe you can easily wrap your head around – it makes sense. 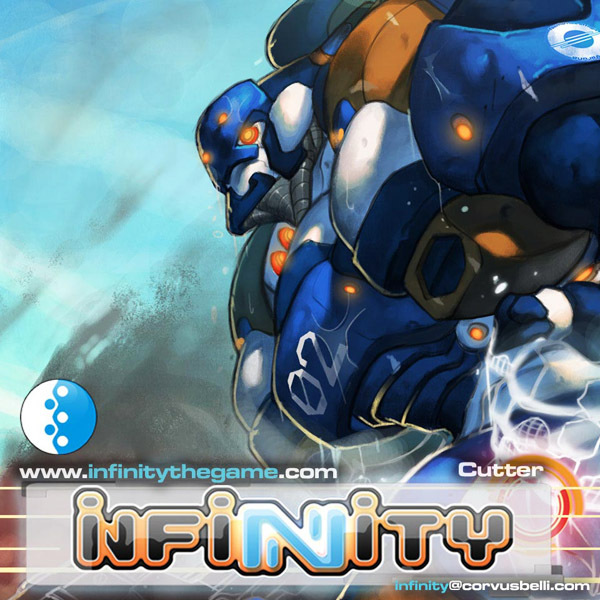 I’m looking forward to playing more Infinity in 2015, and getting into it seriously as my love of miniature gaming becomes resurgent. I was away (never completely, but mostly) in 2014 because I was tired of painting mass battle armies that were too expensive and time consuming – the new models never seemed to end, and I felt like a putz not keeping up. Infinity doesn’t care. Infinity wants you to play. So here’s to hoping I get more of this great game in during 2015. Battlelore Command and Battlelore 2nd Edition! 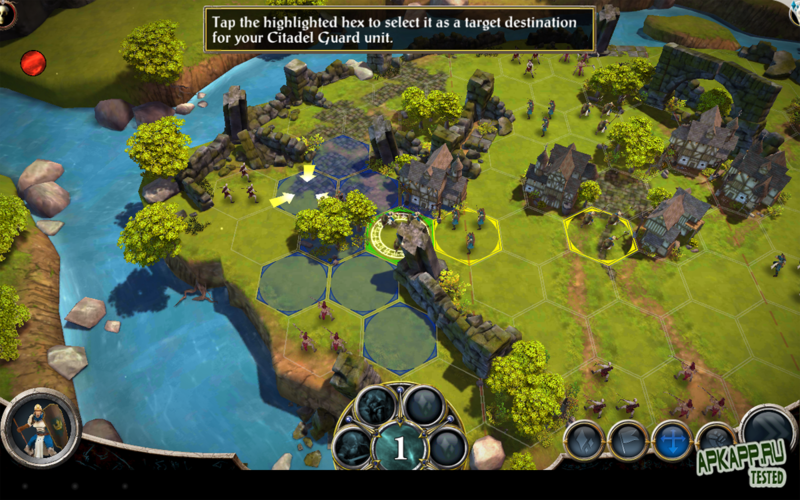 I’m really diggin’ Battlelore Command for iOS. I blasted through the Daqan campaign in no time at all, but not at all easily. 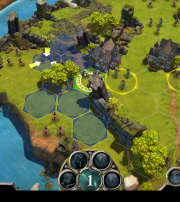 The AI is smart – always sticking to the scenario victory conditions – and the interface is intuitive and actually fun to use. I’ve had my eye on the Battlelore 2nd Edition board game as well. I have no doubt I will pick it up in 2015 at some point. I owned and played 1st edition fairly frequently – even started painting some of the models – but when 2nd edition was announced, I was all in. I love the RuneWars/Rune Age/Runebound universe that is Terrinoth, and I have no doubt that painting the game models will be a breeze. That will make Battlelore my mass battle game for 2015 – albeit heavily abstracted. Here’s hoping Fantasy Flight Games adds more to the iOS game (which may be coming to PC!) and stays invested in expanding the Battlelore board game universe. 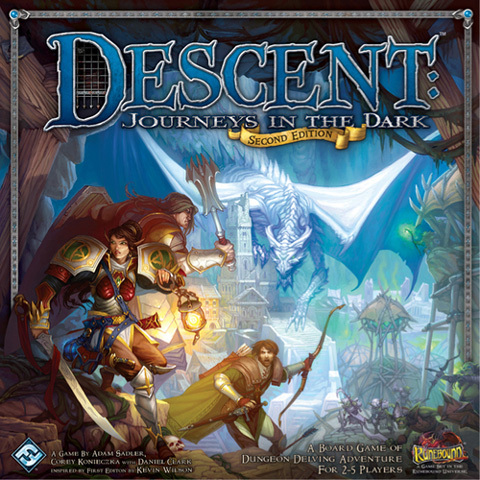 Descent 2nd Edition! God I hope I get to play this game in 2015. I bought it in the summer of 2014 while at a trade show in the US, and immediately read the rules and punched the counters. Since then I have only started painting the character models and monsters involved in the first few scenarios. I didn’t care that they were painted before I played, but it would be nice, and the likely opponents I will be playing with will definitely appreciate it. FFG’s support for this game is phenomenal – it’s a big seller – here’s hoping i get my money’s worth out of my copy in 2015. 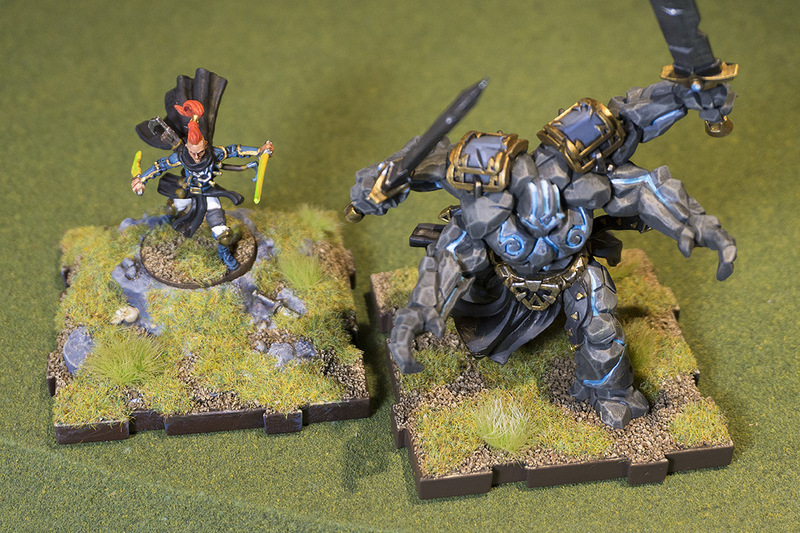 What are you going to be doing in 2015 with your collection of miniatures and games? Life’s too short to be just thinking and wishing about games you want to play this year. Play them! But what are they going to be? Happy 2015 everybody. So after much deliberation, I chose GW’s Evil Sunz Scarlet as my base colour for Jon’s Operation Icestorm Nomads. This base colour was washed with an old bottle of GW Red Wash mixed with GW’s new Nuln Oil. This darkened down the red enough that it wasn’t a freakin’ candy red, but still light enough that they would show up well on an Infinity tabletop. I used 22 colours and washes to get these guys done, and I could have used more, but you have to stop adding highlights and details sometime. The main accent colours are Vallejo German Grey (which is quite dark, but still shows a straight black ink wash) and GW Fortress Grey. 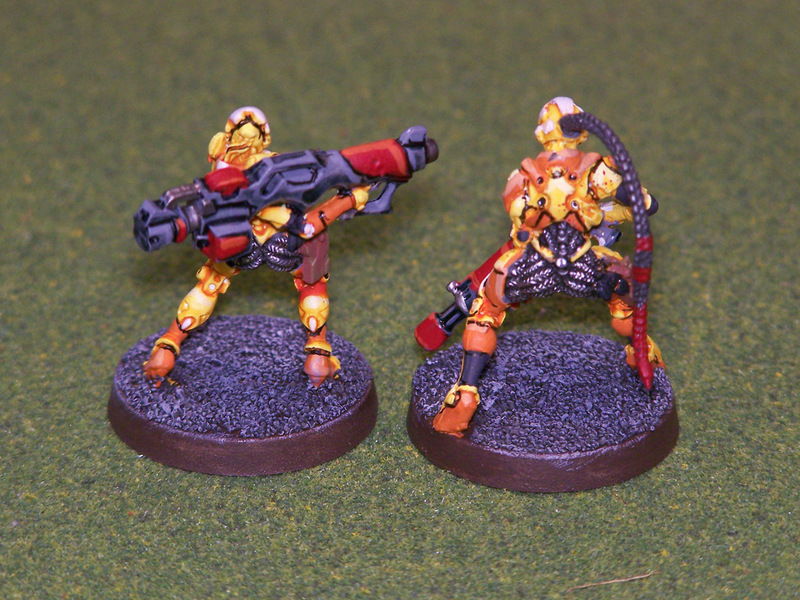 The highlights for the red armour are GW Wild Rider Red – the side by side sister highlight to Evil Sunz Scarlet. While these were fun to paint, I don’t think I would ever choose red as my base colour for an army ever again. It’s just such a middling colour – if you don’t choose wisely your paint may not coat opaquely enough, and some washes and highlights don’t really stand out on it. But those are my choices because I’m a lazy painter. Time to paint: 12hrs Points on the table: No idea – N3 is on the way! x2 TNT crates, x4 Support pillars, x8 Ore piles, x4 Minecarts, x24 Kama coins, x20 Gems. One double-sided Not Mines mapboard. : Mine 1 & Mine 2. And of course, a brief set of Not Mines rules, in 6 languages. Operation Icestorm Pan Oceania models. I’m not proud of the fact that I used 24 colours (paints, washes and ink colours) to get these models done, but there you have it. I just couldn’t stop doing the block highlighting on these figures; every colour is either washed, highlighted, or both. The final step is a blast of Testors matte varnish, and they’re done. Time to paint: 12hrs Points on the table: No idea – waiting for N3! 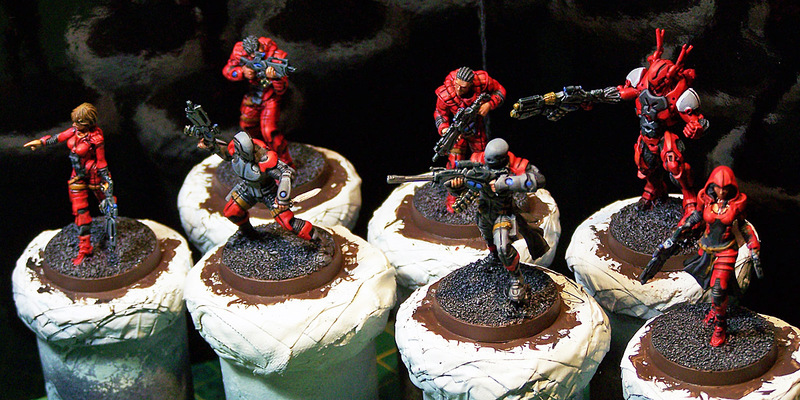 Love these Hac Tao and Daofei miniatures by Corvus Belli for Infinity the game! Probably my most favourite paint jobs so far because of all the details and layered plate armour these guys have. 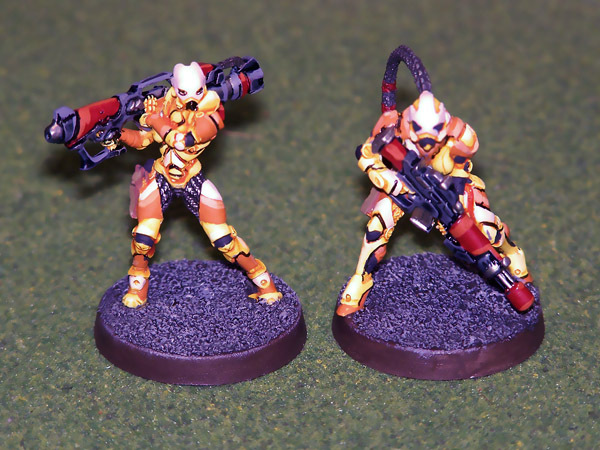 I’ve decided that anyone who carries a heavier weapon in my Yu Jing army is going to have a lot of orange in their uniform; so GW Solar Orange is the main accent colour over the Casandora Yellow ink wash. Then it’s just a matter of brighter yellow and white highlights with dark grey accents – and you’re done!